'Given the centrality of the Chinese Communist Party, we need to strengthen the linkages with the crucial personalities in the highest echelons of the Communist party and political leadership,' notes China expert Alka Acharya. Both sides continue to explore opportunities to advance their defense ties despite the challenges. 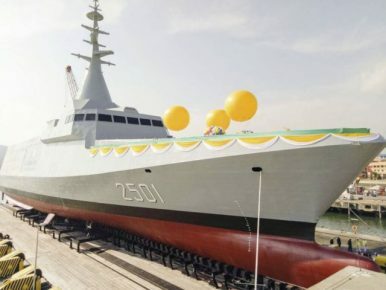 This week, Malaysia’s navy chief paid an official visit to Pakistan. The trip, which saw a long series of engagements and was widely covered in Pakistan media outlets, was indicative of longstanding efforts by both sides to explore opportunities to advance their defense ties even amid the challenges that remain. Appeals to justice resonate powerfully, as is evident in “The Verdict,” a must-see movie about a bedraggled, alcoholic lawyer arguing a life-redeeming case with the deck stacked against him. There’s a simple reason why most movies have happy endings: “We the People” want to believe that when the “System” is rigged by the wealthy and well connected, it’s still possible to win, at least some of the time. South Asia is at the center of global geopolitical and economic trends. It is a rapidly developing region, containing a quarter of the world’s people. India, soon to be the world’s most populous country, is the fastest growing major economy in the world, having surpassed China last year. It also possesses nuclear weapons, as does neighboring Pakistan, the world’s fifth most populous country. The region is situated between China and the Middle East, and between Central Asia and the Indian Ocean. A prime geopolitical location, if there is one. Xi Jinping's dictatorship isn't what the end of history was supposed to look like. 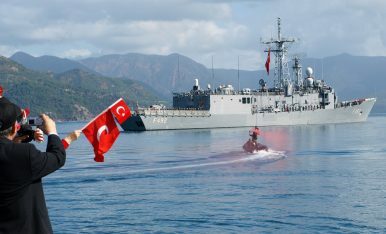 The strategic environment in the Indian Ocean is changing fast. In the last few years we have seen growing strategic rivalry between major powers such as China and India as they expand their roles in the region. We are now also seeing new players competing to build their own areas of influence and blocs in the Indian Ocean. As a friend’s five-year-old puts it, “China has three navies: the regular navy, the police navy and the sneaky navy.” Each of these three sea forces is the world’s largest of its type by number of ships—at least by some measures. China is truly a maritime power in its own right, and its sea forces’ numbers matter in important ways. In maritime “gray zone” operations, Beijing employs its enormous coast guard and maritime militia to further its disputed Yellow, East and South China Sea sovereignty claims using coercion short of warfare. This article, which is part one in a series, will focus on these quantitatively superior second and third sea forces. The United States failed to stop China’s rise; indeed, it didn’t even really try. Moreover, during the process of its rise China reformed its economy without substantially reforming its political system. Over the past 15 years, China has begun to convert economic power into military power, and now fields one of the world’s most formidable military establishments. 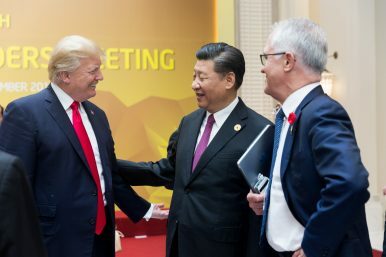 The question has become “What impact will China’s rise have on the global order?” The best answers here seem to be that China will maintain some elements of that order, while changing others to its advantage. Can Japan and South Korea Go Nuclear? Unless the U.S. military does something to stop it (and maybe even then), North Korea is going to become a full-fledged nuclear power, a fact that is stressing the U.S. alliance structure in Northeast Asia. Whether the U.S. decides to attack or learn to live with it, its decision could undermine America’s credibility with its two stalwart partners in the region, Japan and South Korea. And with North Korea on the path to being able to strike the U.S. mainland, the question is looming larger whether the U.S. can be trusted to respond to an attack on Japan or South Korea even when doing so puts U.S. cities at risk. The possibility that Washington will retaliate with sanctions against Russian meddling in U.S. elections has prompted many wealthy Russians to consider how they will protect their wealth. In late February 2014, following three months of demonstrations on Kyiv’s Maidan Nezalezhnosti (Independence Square), then-President Victor Yanukovych fled the Ukrainian capital on a tortuous path that ultimately took him to Russia. On February 22, 2014, Ukraine’s parliament appointed an acting president and acting prime minister, who promptly announced their intention to press reforms and bring Ukraine closer to Europe. Four years later, Ukraine finds itself in a low-intensity but still very real war with Russia. Russia seized Crimea and has prosecuted a conflict in the eastern Ukrainian region of Donbas that has claimed more than 10,000 lives. While President Petro Poroshenko and his governments have implemented serious reforms, the pace has slowed markedly. Many are particularly frustrated that more has not been done on the anti-corruption front. Originally published under the title "The Russian Attack Against America You Didn't Hear About." Russia committed an act of war against the United States a little more than a week ago. You probably didn't hear this because few media organizations have even mentioned it, but Russia committed an act of war against the United States a little more than a week ago. No, this is not about more social media and election shenanigans. Russia mounted an armed assault against American soldiers and our allies in Syria, including Kurdish security forces affiliated with the People's Protection Units, or YPG, at a military base in the city of Deir Ezzor, the largest in eastern Syria. Russian combatants fought alongside Assad regime fighters and Shia militias armed, funded and directed by Iran. Russia has deployed two additional S-400 batteries to the Russian Far East, according to satellite imagery analysis. 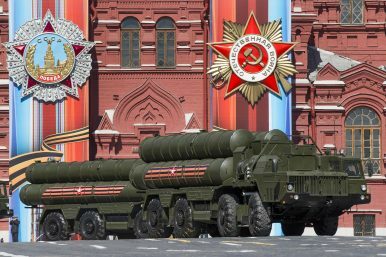 In an ongoing effort to boost its so called anti-access/area denial (A2/AD) capability, the Russian military has deployed two additional S-400 Triumf advanced Air Defense System (NATO reporting name: SA-21 Growler) batteries to the vicinity of Vladivostok, homeport of the Russian Pacific Fleet, in the country’s Far East, according to satellite imagery analysis, published by IHS Jane’s Defense Weekly. The evidence ranges from a new long-range Chinese missile to ramped-up European defense spending, an annual assessment of the world’s militaries finds. The U.S.’s latest national security documents aren’t alone in warning that many of the technical military advantages America and its allies have taken for granted the last two decades are eroding. More evidence is marshalled in the latest edition of The Military Balance, an annual quantitative assessment of the world’s armed forces by the International Institute for Strategic Studies, a British think tank. Calling the 21st century the "Asian century" is like calling the 20th century "the West's century" - It is correct, but inaccurate. Instead, we should call the 21st century "China's century", just like we call the (2nd half of the) 20th century "America's century" - It is correct and accurate! Leaders are learners, and learners are readers. If you’re reading this, I consider you a “student of leadership.” As such, chances are you already understand the value (and really even necessity) of reading to further your personal and professional development. I truly believe that one’s commitment toward reading for learning and growth is a reflection of your professional maturity. 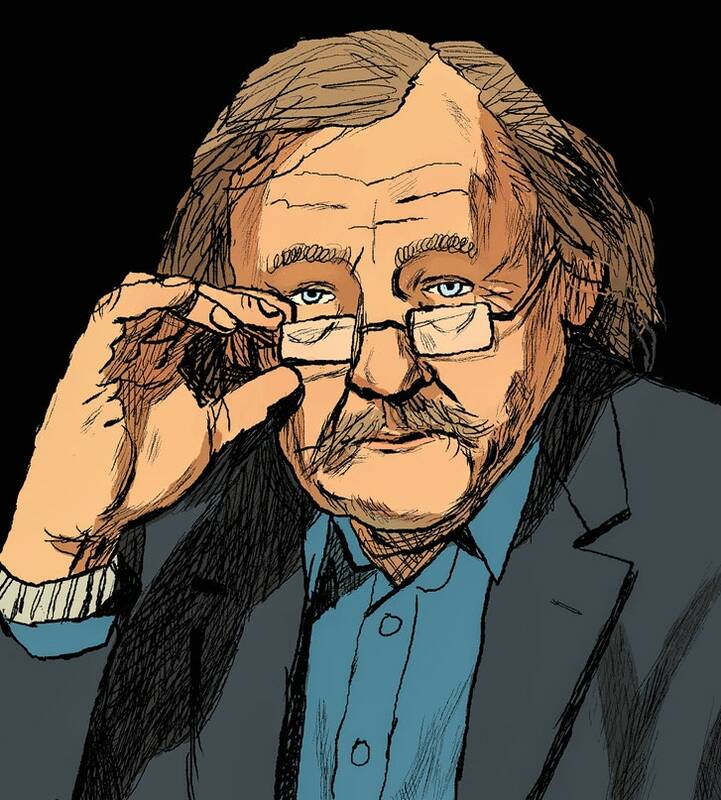 One weekend last June, in an auditorium in the German city of Karlsruhe, the philosopher Peter Sloterdijk celebrated his seventieth birthday by listening to twenty lectures about himself. A cluster of Europe’s leading intellectuals, academics, and artists, along with a smattering of billionaires, were paying tribute to Germany’s most controversial thinker, in the town where he was born and where he recently concluded a two-decade tenure as the rector of the State Academy for Design. The first steps involve classifying an organization's data and then controlling who can access what based on their need to know. Blocking common channels used to leak data is the next step. The final step involves improving visibility and alerting by setting up in-depth logging of most sensitive classes of data, and alert systems when users try to access that data. Artificial intelligence (AI) has finally caught the Indian government’s attention. On Feb. 01, delivering his budget speech, finance minister Arun Jaitley told parliament that the government think-tank, Niti Aayog, will spearhead a national programme on AI, including research and development. The intent showed in the numbers: Budget allocation for Digital India, the government’s umbrella initiative to promote AI, machine learning, 3D printing, and other technologies, was almost doubled to Rs3,073 crore ($477 million) this year. The United States often brags about its military power, but how do we actually rank? World powers have gone to war over the centuries for a multitude of reasons, and we often use military strength to determine a country’s stability today. It’s harder to determine the best militaries in the world than you might think, but the Global Fire Power Index creates an annual ranking that takes a number of factors into account. It adjusts data for firepower stockpiled and its diversity, geographical factors, population, natural resources, logistical flexibility, and other issues. Furthermore, it does not take current military or political standing into account, making its rankings some of the least biased around. Here’s the top ten militaries in the world, ranked from the bottom up. 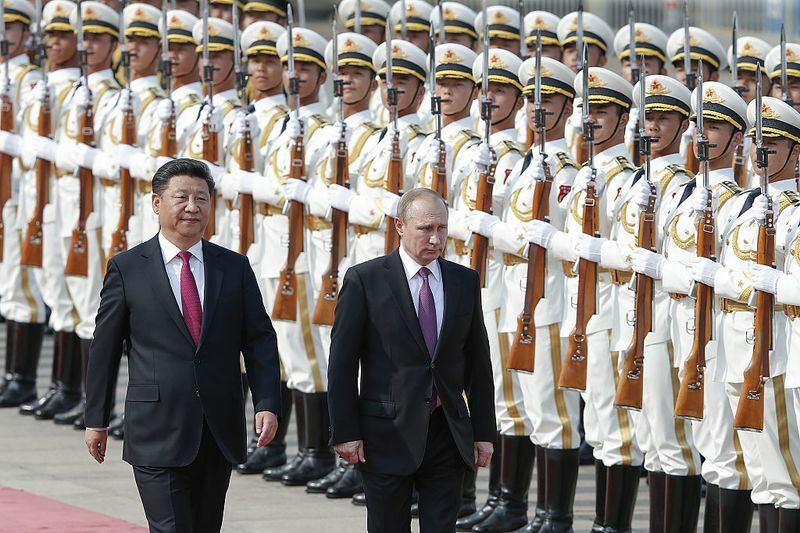 A quarter-century after the end of the Cold War, the world unexpectedly finds itself in a second one. This state of affairs was anything but inevitable, and it is in neither side's interest to escalate tensions further.